Leading Manufacturer of ladies designer woollen cardigans, short woollen cardigans, stylish woollen cardigans, v neck ladies woollen cardigans, ladies printed woollen cardigans and ladies full sleeve cardigans from Pune. Our company is manufacturing and supplying a wide array of superior quality Ladies Designer Woollen Cardigans, which is manufactured using premium quality material leather and wools. Available in numerous colors, designs, and styles, these are fabricated in compliance with set industry standards. This cardigan can be customized as per the international industry standards and can also be availed at reasonable prices. We provide superior quality Short Woollen Cardigans to our clients, which are fabricated using premium quality wools and pashmina yarn. 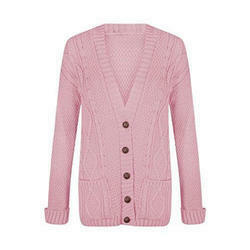 We are counted among one of the leading manufacturer and supplier of a wide gamut of Stylish Woollen Cardigans. 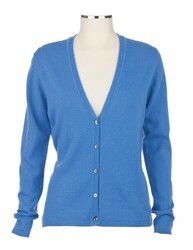 We are offering V Neck Ladies Woollen Cardigans. We are offering Ladies Printed Woollen Cardigans. 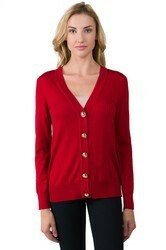 We are highly appreciated in the market for our exquisite collection of Ladies Full Sleeve Cardigans. 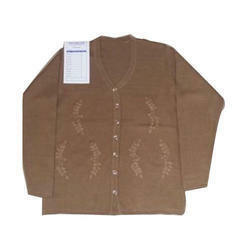 We are offering Ladies Woollen Cardigans. Looking for Woollen Cardigans ?